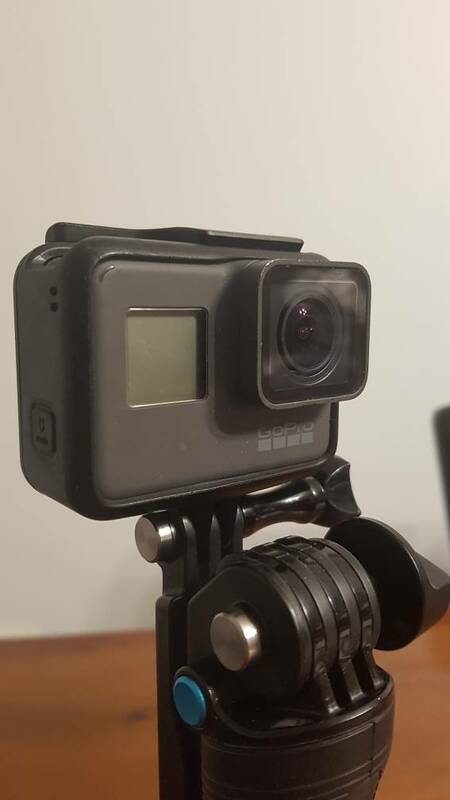 Genuine gopro 3 way mount with tripod. 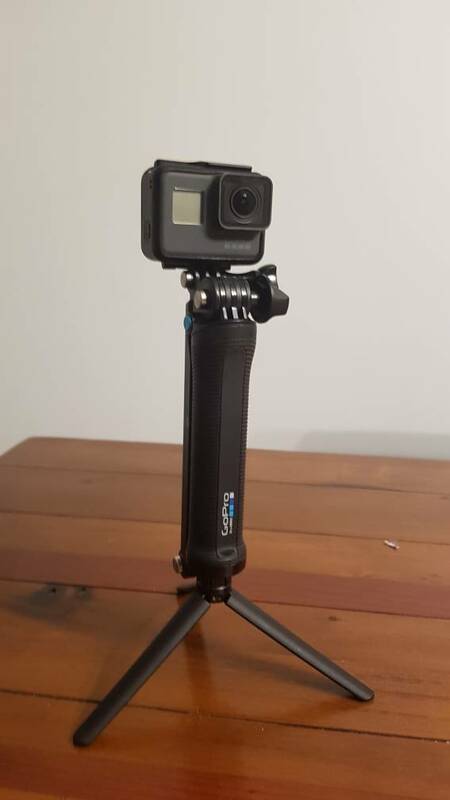 Go pro extendable stick with go pro remote. 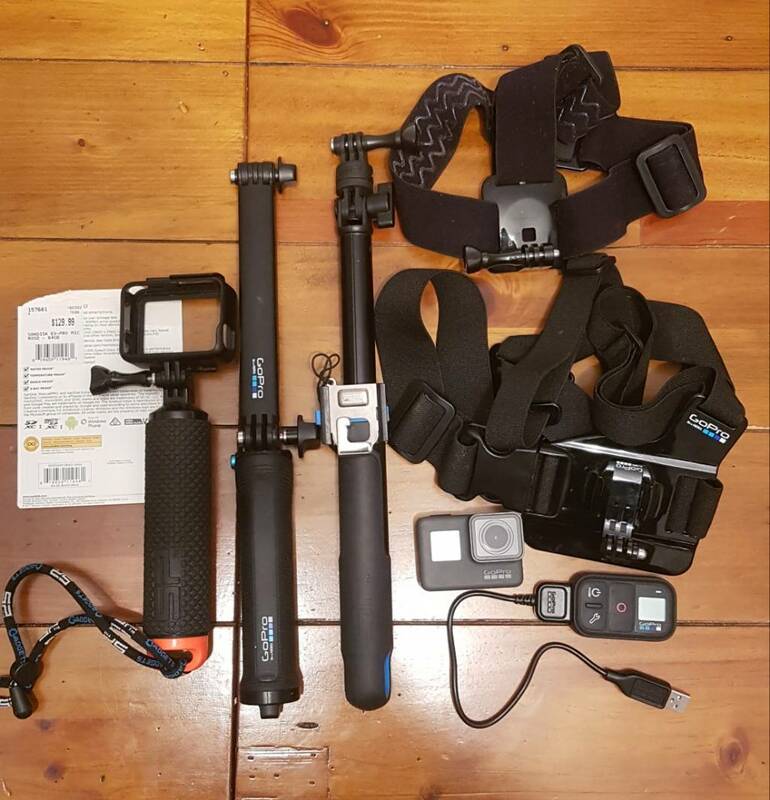 Genuine chest mount and head strap mount.